You may remember seeing me talk about Spreading Cheer this holiday season. It is the time of year to take a little time and try and do something for others. An easy way to do this is with Betty Crocker cookie mix. They make baking cookies so easy. We made a really easy peppermint sugar cookie that turned out so yummy. 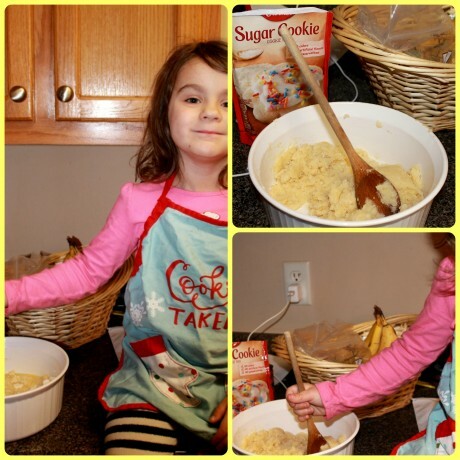 Betty Crocker really wants you to #SpreadCheer this holiday season and they are letting me give away another $20. All you have to do is print your coupon, get your printables, bake some cookies and deliver them to someone. Post your photo on social media using the hashtag #SpreadCheer and nominating some of your friends to join you and do the same.